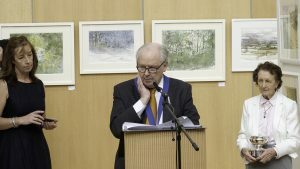 The 163rd annual exhibition of The Water Colour Society of Ireland was launched today in the Concourse in Dún Laoghaire Town Hall. 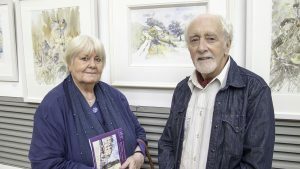 The Water Colour Society of Ireland was founded back in 1870 and has included some of the finest Irish water colourists. It was accepted into the European Confederation of Watercolour Societies this year. This year’s exhibition features paintings by more than 120 leading contemporary Irish artists. Over 290 paintings in watercolour, gouache and pastels, plus drawings and limited edition signed prints, will be on display. The exhibition has taken place in this venue for the last seventeen years. This is probably the last time this exhibition will be held here as the area is going to be used for other purposes. The Exhibition, supported by Whyte’s fine art auctioneers and Dun Laoghaire – Rathdown County Council Arts Office, is open admission free to the public daily, Monday 25 – Saturday 30 September, 10am-5pm, and Sunday 1 October, 10am-1pm. 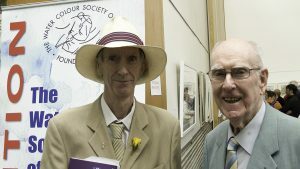 No user commented in " The Water Colour Society of Ireland Annual Exhibition Opens "